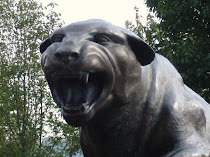 That was the way I would describe Pitt's 12-point win over Kent State Vs. the Indiana game. 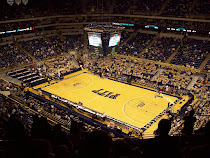 Pitt didn't do everything right, as evidenced by the 19 turnovers, but Brad Wanamaker's strong game as well as nice bounceback games by Travon Woodall and Nasir Robinson led Pitt to an expected win. The turnovers issue may not ever get fixed this year and the frustrating thing is that it isn't just one guy. I get on Woodall a lot, but when you consider he's a freshman playing point guard, he actually isn't the worst offender. He has 27, but Wanamaker has 29, Robinson has 25, and McGhee has 18. For as much as he handles the ball, he's probably doing a better job than those three. I think eventually they'll do a better job of cleaning up the sloppy turnovers, but by then, the competition will be a lot more difficult. Back to Wanamaker - his confidence is clearly up and I wasn't sure how he'd do confidence-wise having to essentially lead the team with Ashton Gibbs due to the absence of Jermaine Dixon and Gilbert Brown. But his play has been strong and he doesn't hesitate to take the open shot, something desperately needed on this team.